This software is compatible with Memory Sticks, SmartMedia, CompactFlash, Digital Cameras and Camcorders, MP3 players, MMC, SD/SDHC, microSD cards, XD cards, PCMCIA, Video CD, DVD and most forms of digital media. The program works with any USB or FireWire Adaptor. 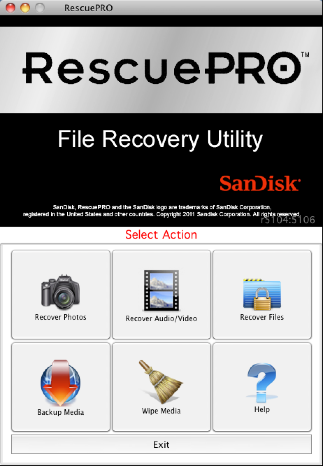 Also features unique recovery algorithm for MPEG audio and MPEG video recovery (MPEG-1/2/3). Secure media wiping is also included for permanent deletion of data on your digital media. An imaging utility allows the creation of an image of your media for recovery at a later time. Advanced features include: now supports many high-end Digital Backs for SLR cameras, automatically saves the data as it is being scanned, supports media up to 1TB. Software Author: LC Technology International, Inc.